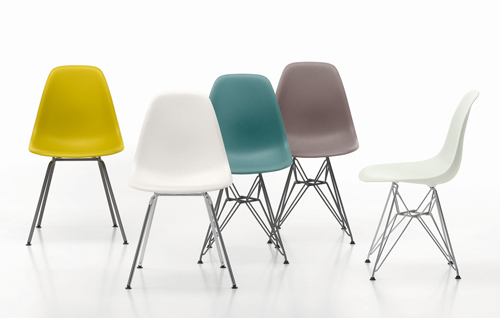 I really love these fresh colours the classic Charles and Ray Eames Dining Height Side Chairs and and RAR rocking chairs are available by Vitra. 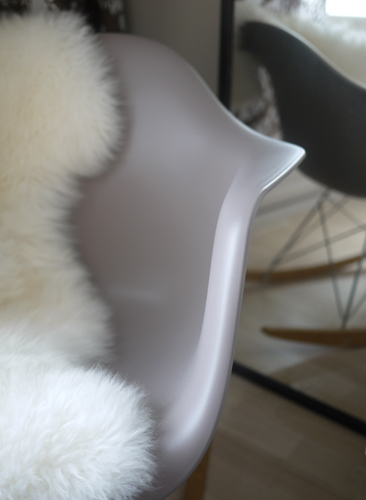 These beautiful chairs from the 1950 were the first ever manufactured plastic chairs. I would just love to have one of each colour one day now we don't really have any more space for more chairs. So I'll wait for a bigger place and now enjoy our comfy RAR rocking chair which we got last summer! Ja kauneuden lisäksi siinä kiikkutuolissa on vieläpä niin hyvä istuakin! Niin on! Ja sopivan pieni näin kaupunkiasuntoon! Kyllä! Meillä oli ilmestynyt jalkaan pienet hampaanjäljet. Hih.